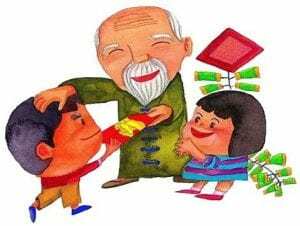 Has the celebration of the Chinese New Year changed from when your parents were little? Depending on which generation and also which part of the country you are from, people have different customs. Let’s hear from our YCIS Pudong parents about what they recall and enjoyed from this festival when they were little. Written by Ning Diao (Lou Ling, Y2). I was born in a small mountain town in Helongjiang Province in Northeast China. 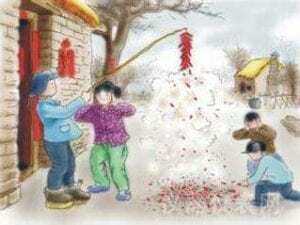 We did so many fun things to prepare for the celebration of the Chinese Year – making new clothing for kids, buying fire crackers, making foods, snacks, candies for the new year holiday, watching people rehearsing and playing yangko, a local folk dance in our neighborhood, to name a few. Among all these preparation and celebration activities, my favorite one is to watch my dad write beautiful Chinese characters on Spring Festival Scrolls a couple of days before Spring Festival. Dad’s Spring Festival Scrolls were so unique and nice. Every year, Dad would write more sets than we needed and gave some to our neighbors. All these neighbors were expecting to receive my Dad’s Spring Festival Scrolls. To me, giving away Dad’s Spring Festival Scrolls seemed to be a part of our family’s new year celebration. I felt so proud and happy when I helped to deliver scrolls to neighbors! Dad has not written scrolls for many years, since we grew up and lived in different cities. 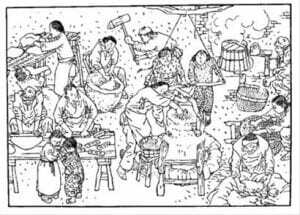 We seemed always in a hurry to prepare for spring festivals especially after we had our own families. To my siblings and me, it was more convenient to buy it from stores. 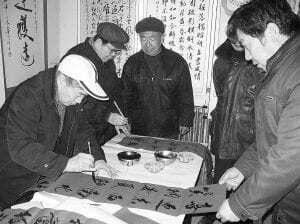 Recently, I became aware that I may never see my father writing Spring Festival Scrolls again, as his right hand can’t move well after a stroke last summer. 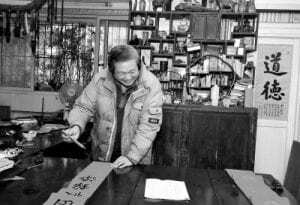 And right now, I realize how much I missed the moment watching Dad bring beautiful Chinese characters one by one in black ink on the red paper with his magic long nice writing brush; listening to Dad explain the meaning of couplets; and seeing our neighbors’ happy faces when they accepted the scrolls. 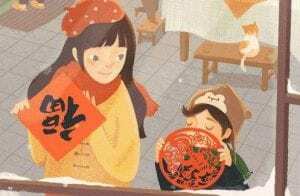 I will never forget the moments after putting the Spring Festival Scrolls on the gate together with Dad, we stood there together to appreciate each of the beautiful Chinese characters and the fresh look of the gate, reading the couplets with great expectation ofthe coming new year.